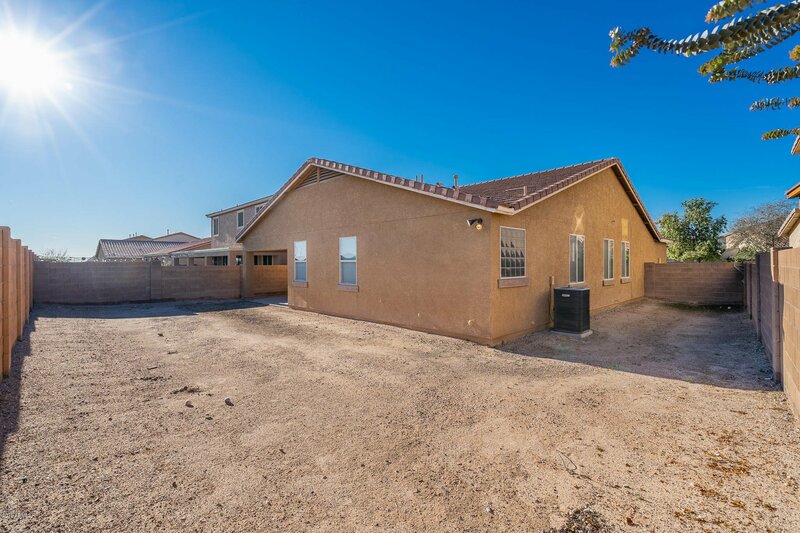 This single level, 4 bedroom, 2 bath, 3 car garage home has been gently lived in by original owner. 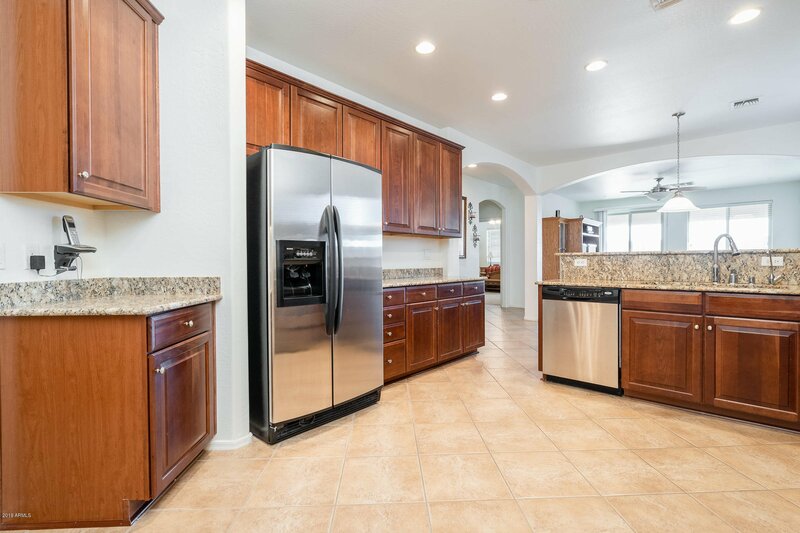 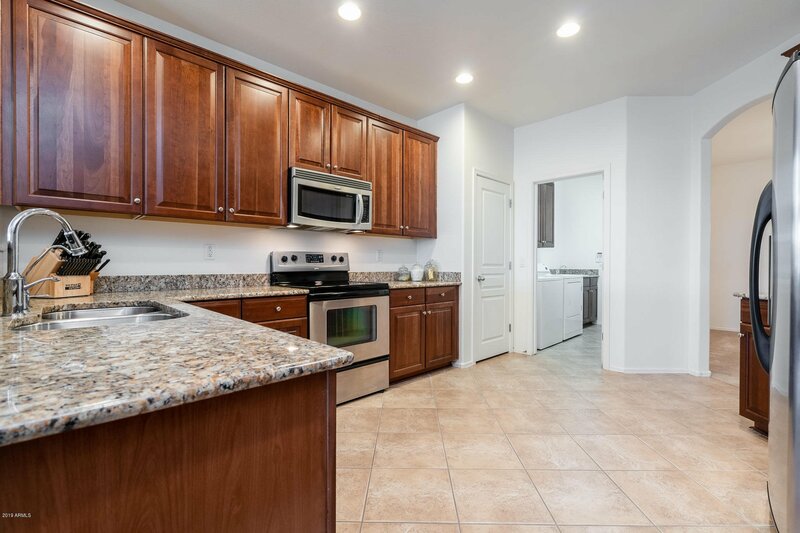 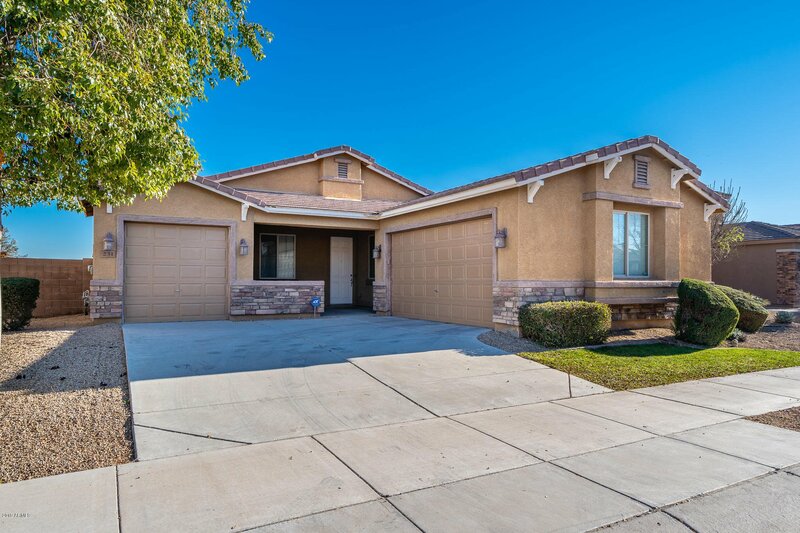 Kitchen features gorgeous granite countertops, upgraded 42'' cherry cabinets w/ hardware, eat in kitchen, pantry and overlooks the spacious family room. 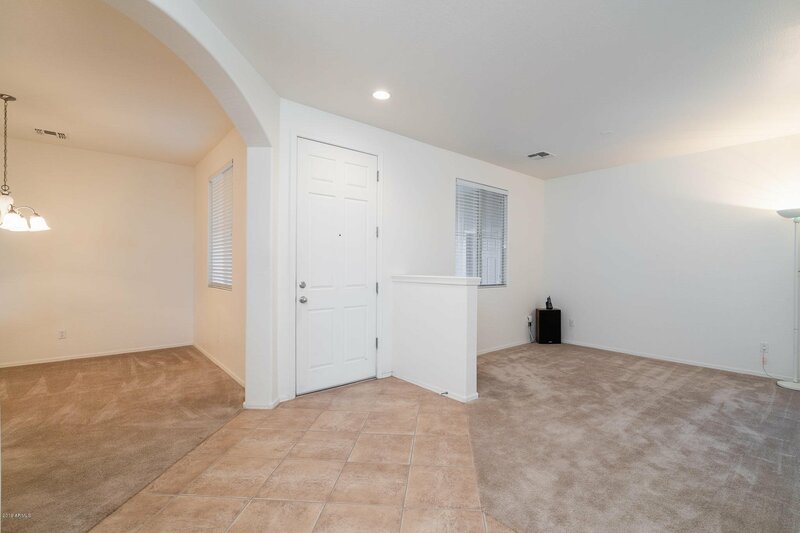 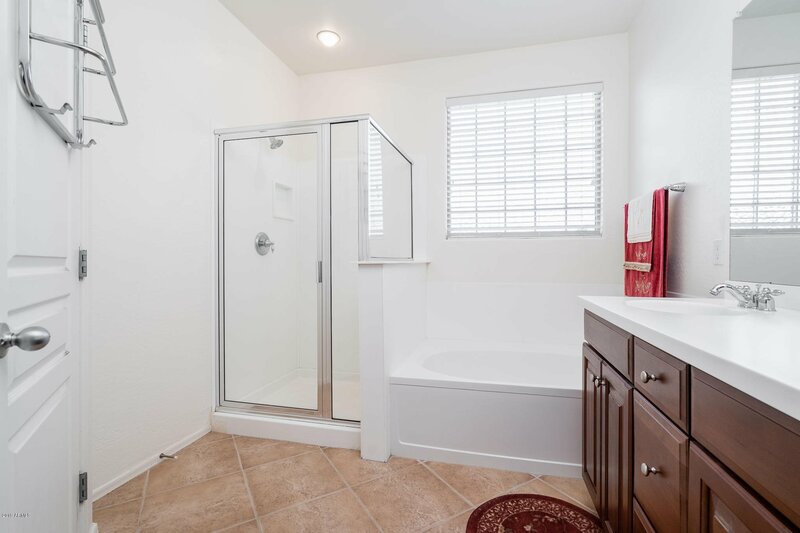 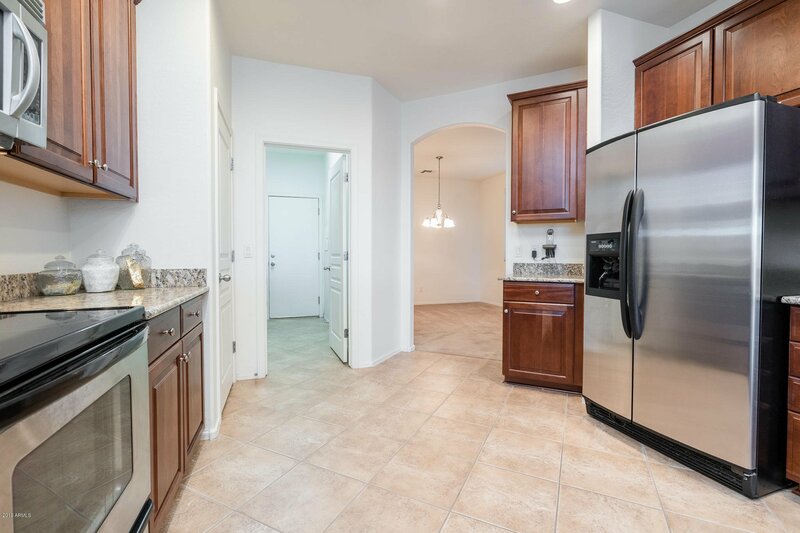 Flooring is nicely upgraded with neutral tile from entry through kitchen, laundry, family room, bathrooms and hallways. 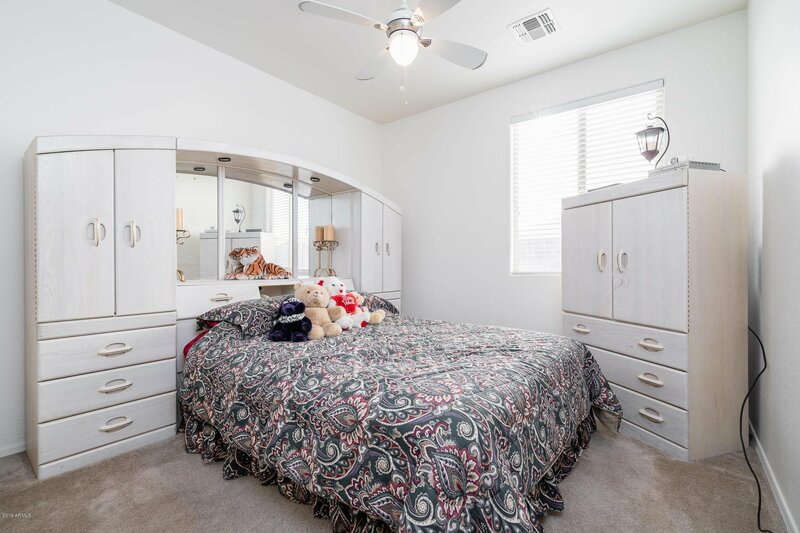 For privacy, the split Master is located at the rear of the home and 3 additional bedrooms and full bath are off the main hall. 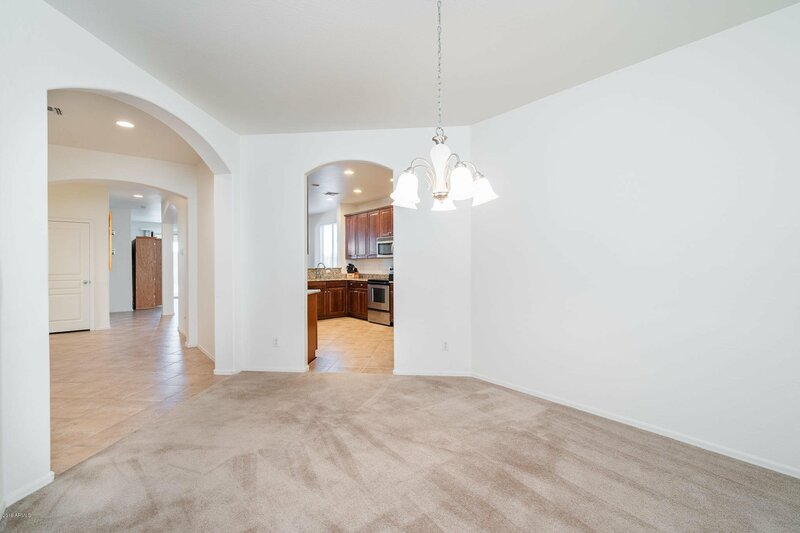 Home includes new water heater, owned soft water/RO systems and surround sound prewire in the family room and back patio (includes speakers). 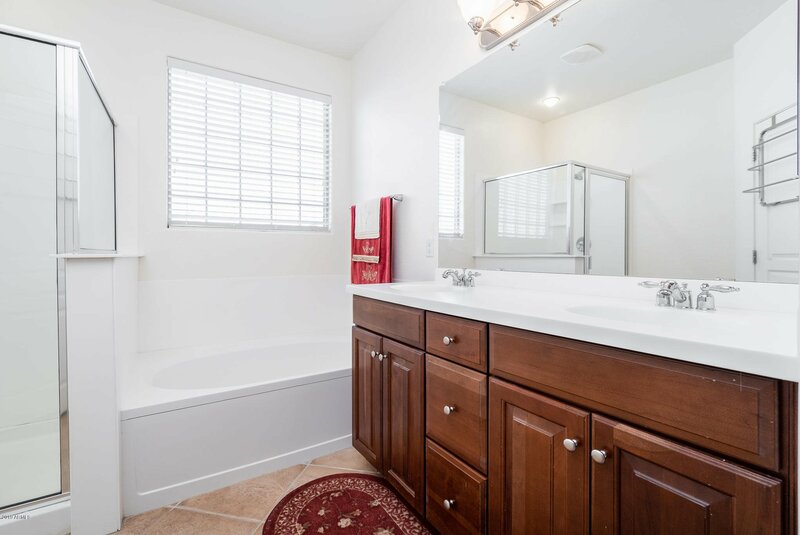 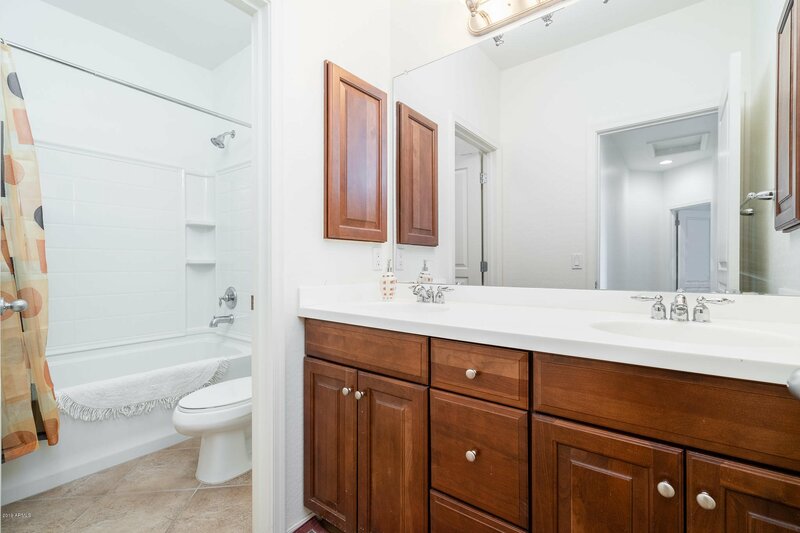 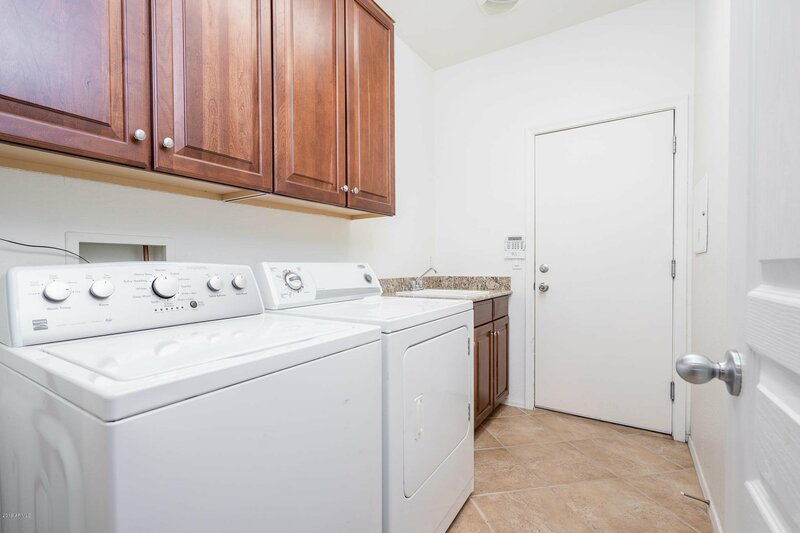 Laundry room has cabinets, granite countertop and laundry sink. 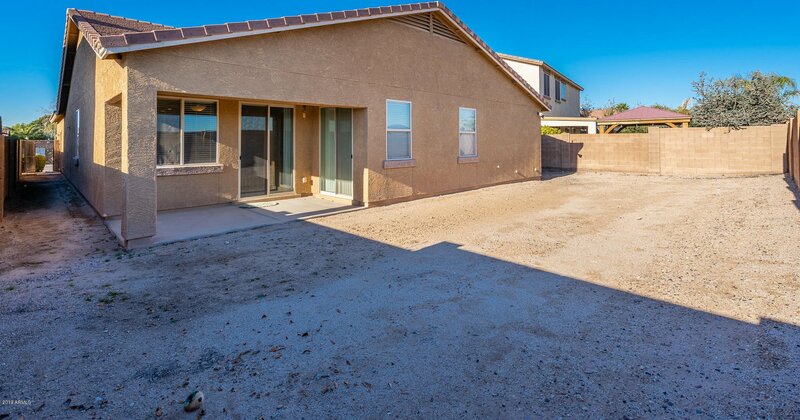 The split 3 car garage provides ample room for extra storage, workshop or parking. 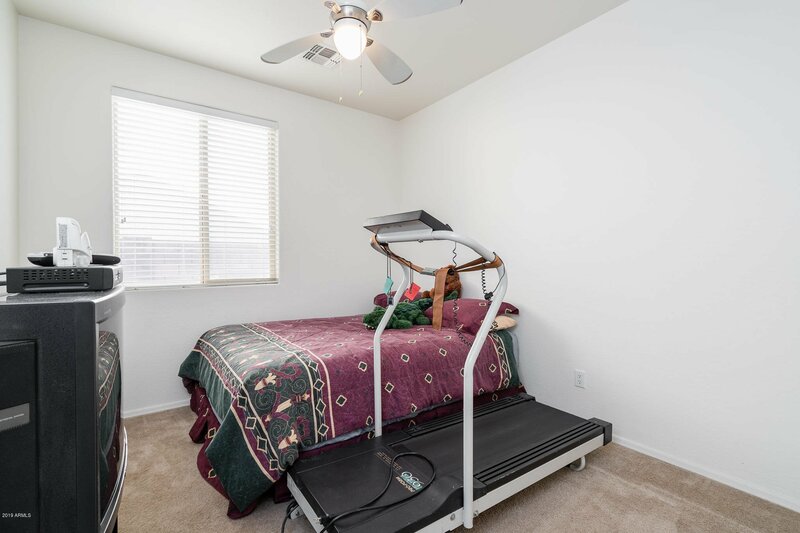 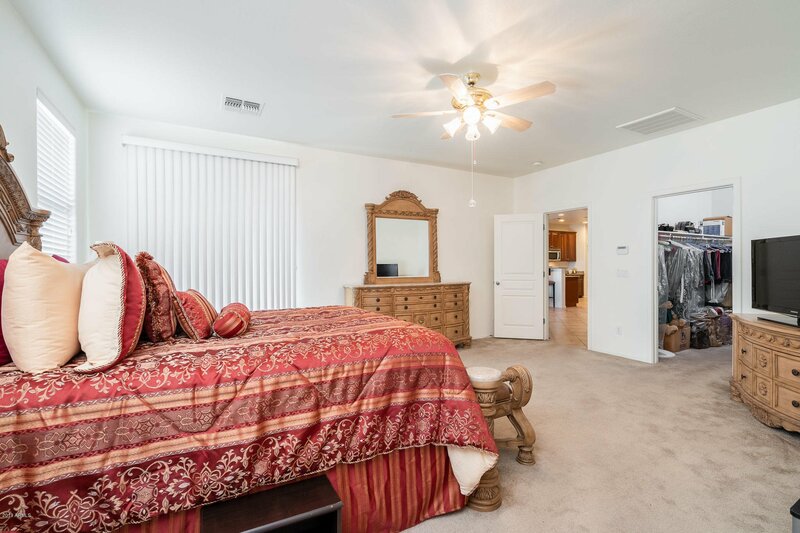 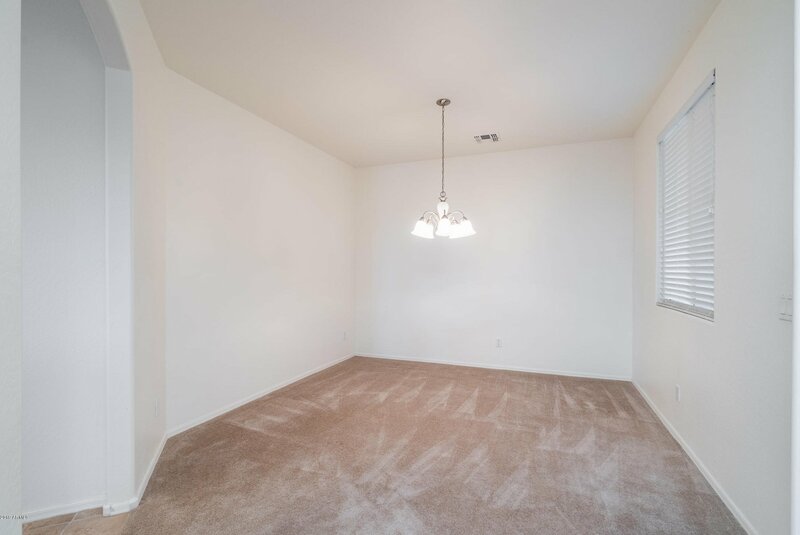 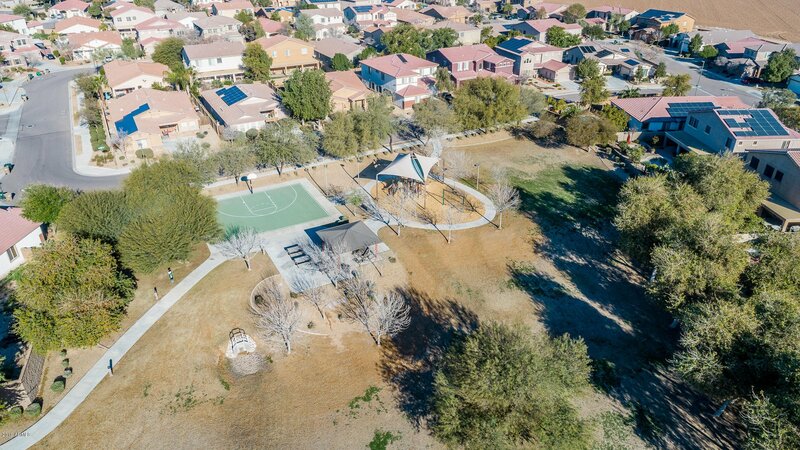 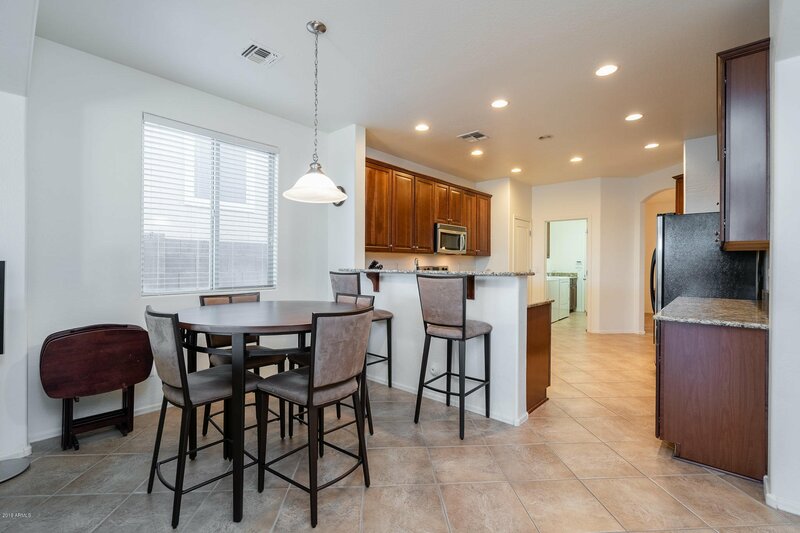 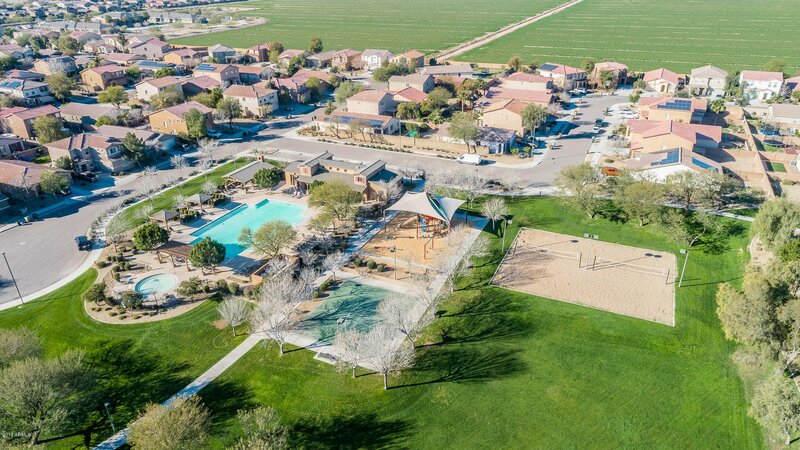 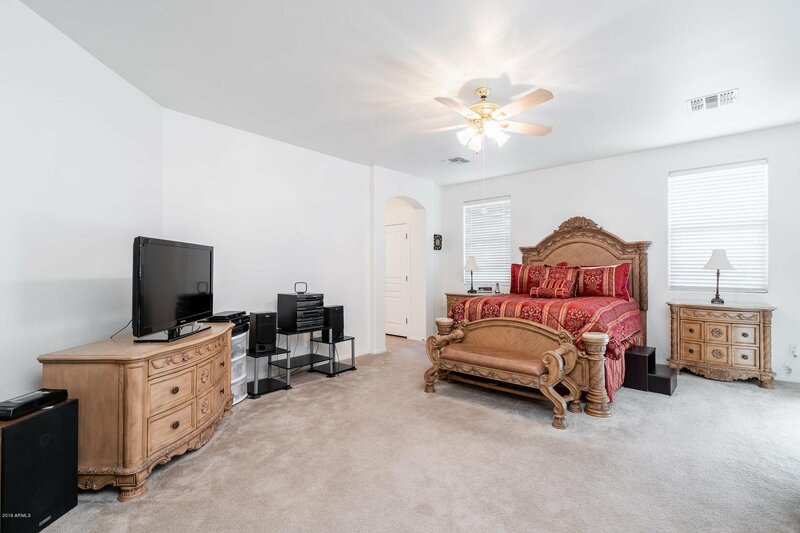 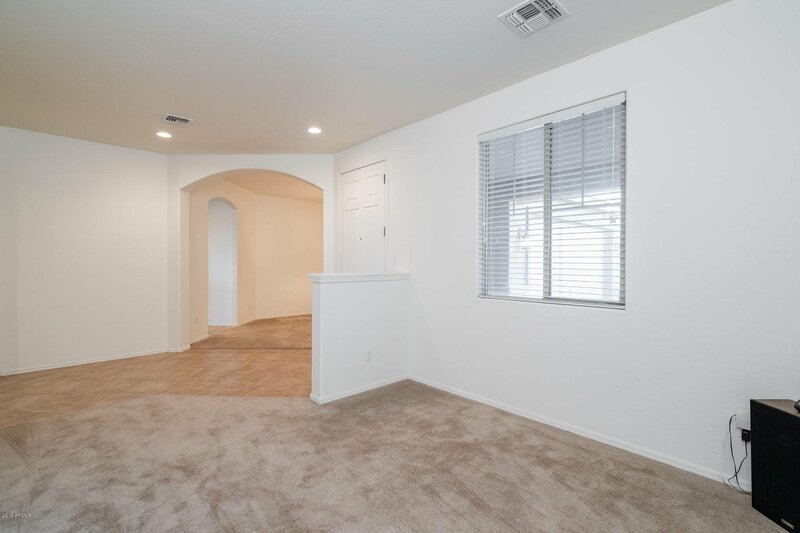 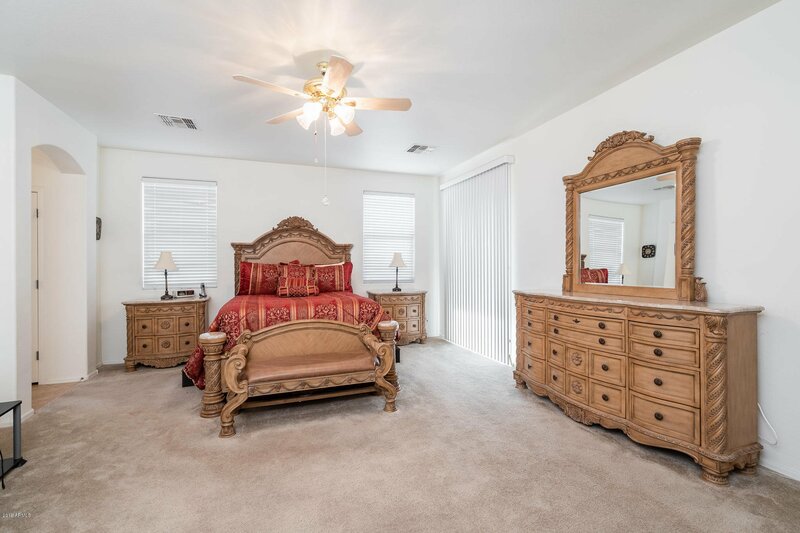 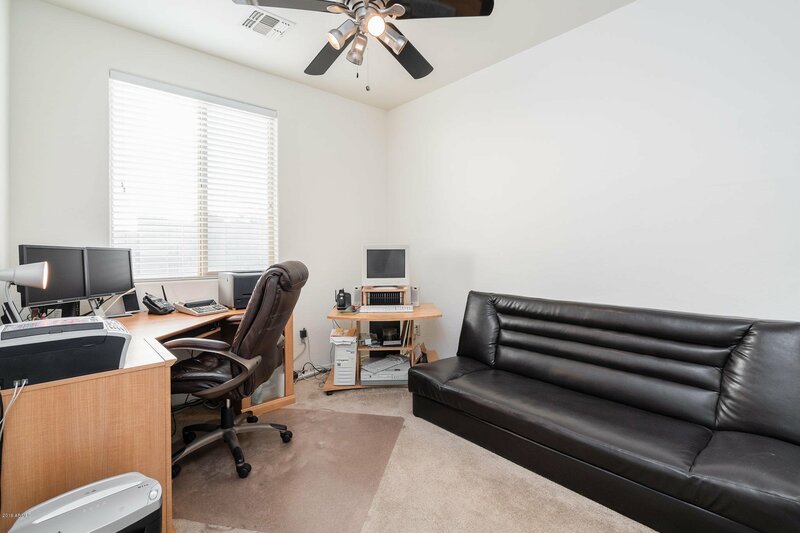 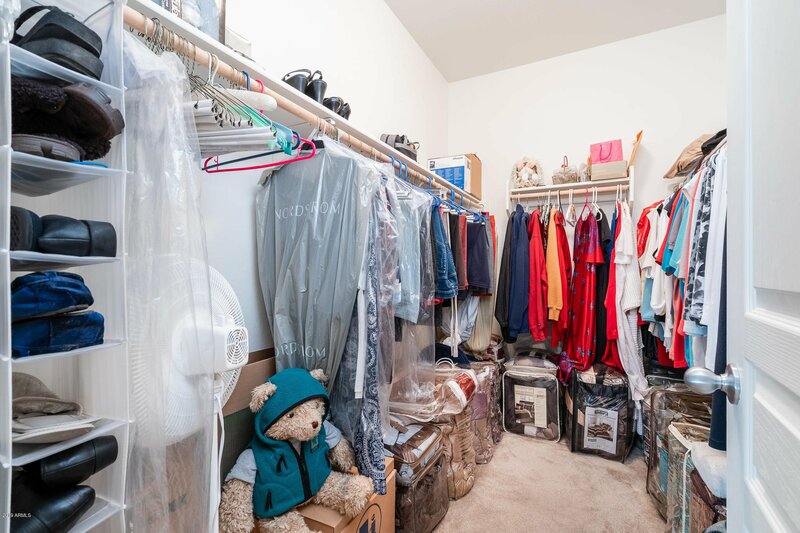 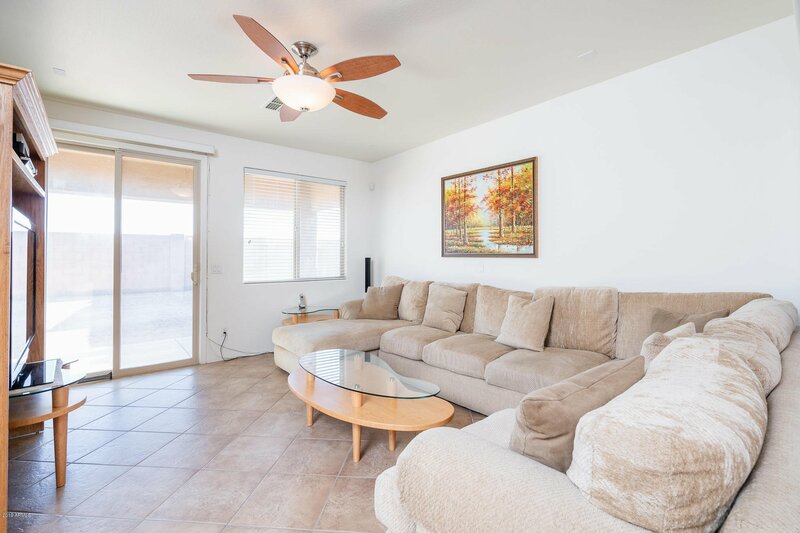 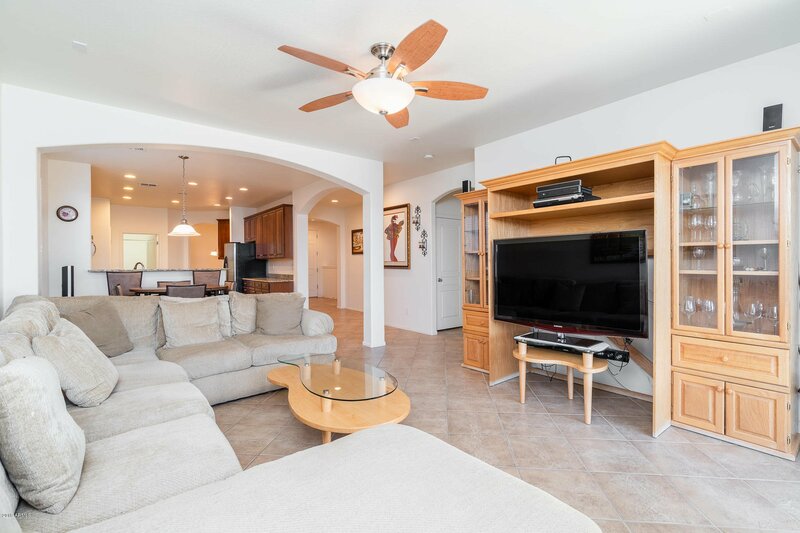 Canyon Trails is ideally located just South of I-10, is filled with walking trails, volleyball/basketball courts, playgrounds, picnic ramadas, heated pool/spa and a rec center with workout room. 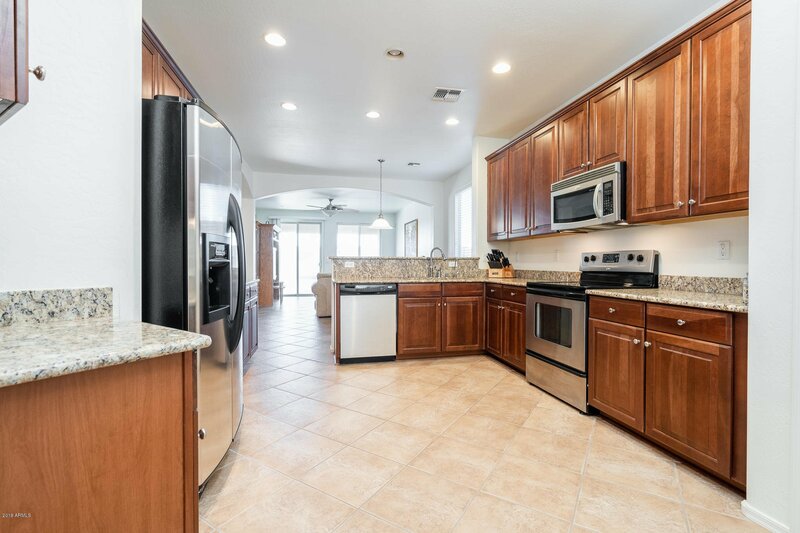 Home is Energy Star with Lennox 14 SEER split HVAC unit, Honeywell programmable thermostats, Solar Board Radiant Barrier roof decking, Alpine dual pane, low-E, vinyl framed windows and R38 insulation in the attic(See standard features sheet from home builder under docs tab). 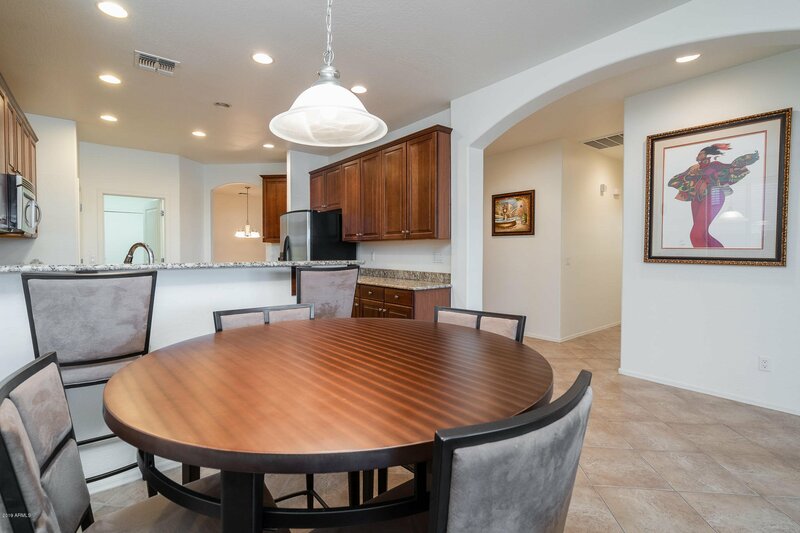 Listing courtesy of Arizona Team Realty, LLC.